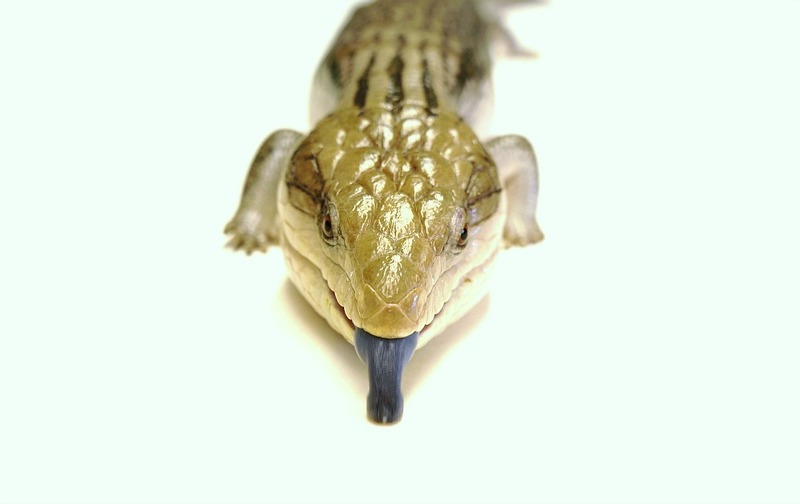 This particular lizard is Buddy the blue-tongued skink. 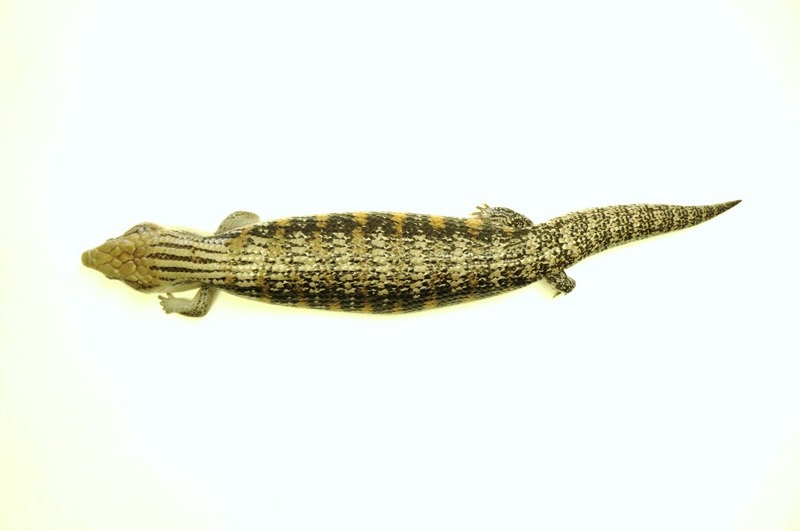 These skinks are native to Australia, though we do have quite a few skinks here in the states. They have scaley reptile skin, but their scales are very fish-like in appearance and are just a bit bumpy. I tell kids that they feel a little like corn on the cob! They have very short legs, so they are not climbers. Their large bodies and tiny legs give them a snake-like appearance. They are also always sticking their tongues out like a snake. They spend a lot of their time hiding, sometimes in hollow logs or under debris on the ground. So, why the blue tongue? Whenever an animal is brightly colored (or has a brightly colored body part) it means they are either poisonous, venomous, or they taste bad...OR they are pretending and are trying to mimic another animal that does have one of those characteristics. 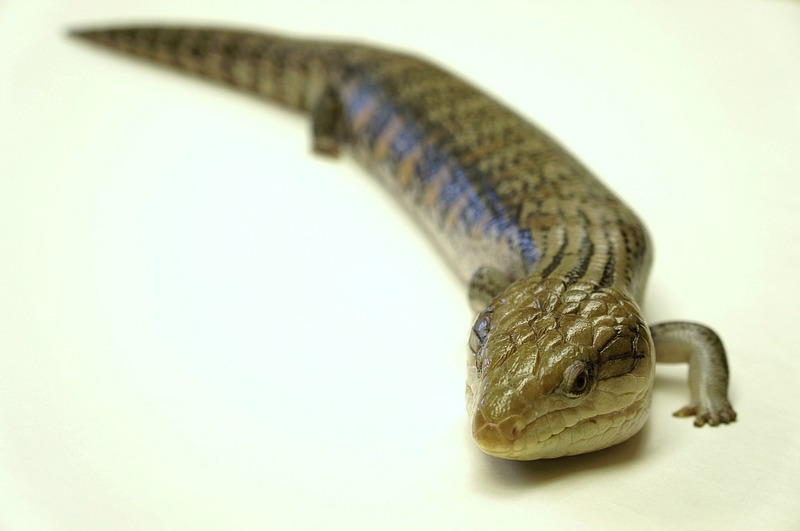 I've never tasted a skink, but I doubt they taste bad. 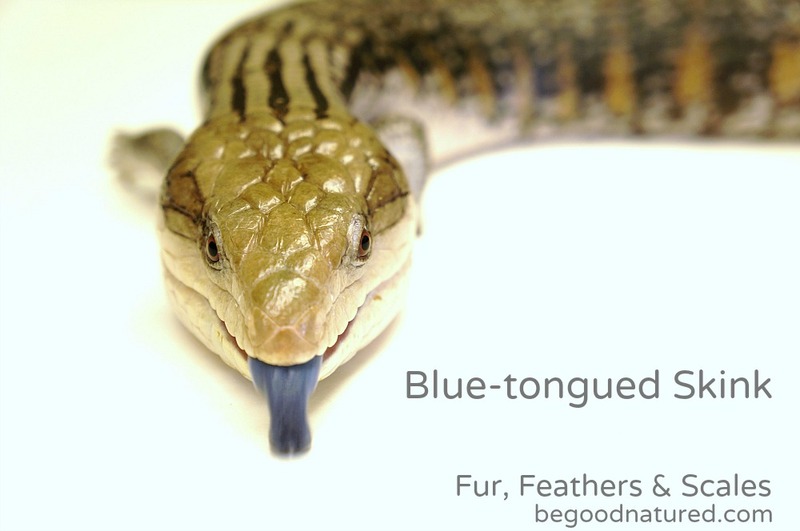 Blue-tongued skinks are using mimicry. So, when they are threatened, they make themselves look bigger by puffing up their bodies. Then they open their mouths, stick their bright blue tongues out and hiss. I don't know about you, but that's enough of a warning for me! These lizards can be good pets, but do keep in mind that they can live a long time. 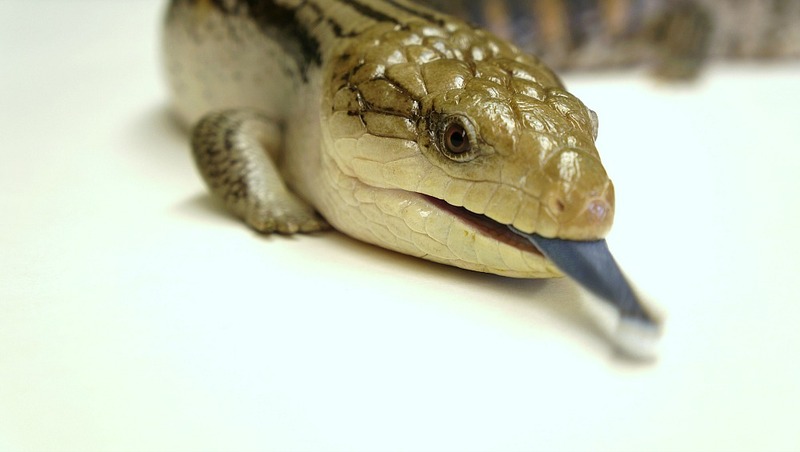 We had a blue-tongued skink at the zoo live to be twenty-three years old! They are omnivores and eat insects, small vertebrates and vegetation. On average, they can grow to be about one foot long.